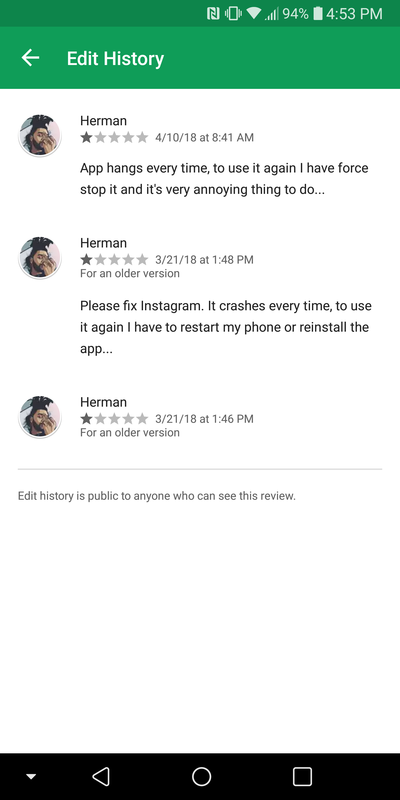 App reviews in the Play Store can sometimes be a quite useful resource. Like pretty much any platform for commentary online, you've got to have a discerning eye in order to sort the genuinely useful information from all manner of fanboi rants or misdirected attempts for customer service, but it's still an asset plenty of us turn to time and time again. If you contribute reviews of your own, though, you may want to start being a little more thoughtful about what you say, as now other users can see all your old edits, even after you update your review. 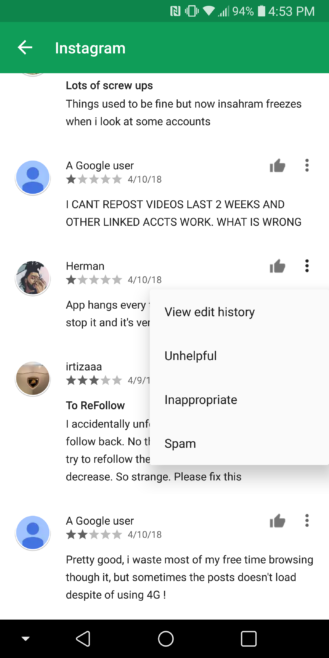 When doing a teardown of the Play Store's v8.9 update a couple months back, we spotted the building blocks of a change that would let other users check out the historical record of your review's edits. The developer behind an app could already view this data, but so far it hadn't been publicly available. Now Google's quietly flipped the switch on these public edit logs, making them visible in the Android Play Store app. 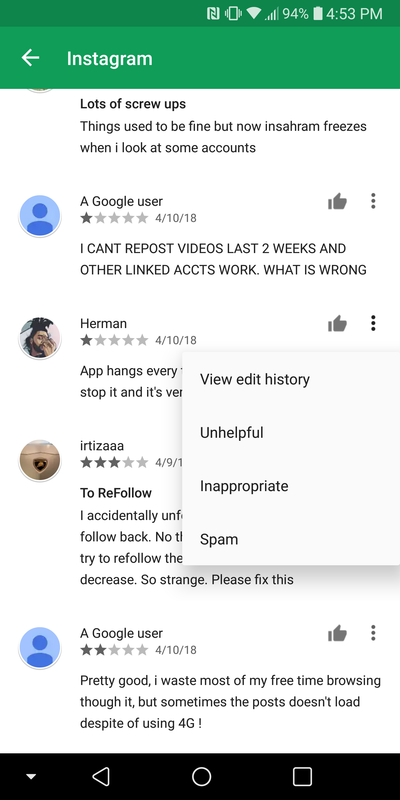 To view the older version of a review, you'll need to tap the overflow icon on the right, where now options for reporting unhelpful, inappropriate, or spam posts are joined by a “View edit history” option. Sometimes you'll just see a user adding new details or correcting typos. Often there will be an initial entry where a score is given, followed up almost immediately by the text review. Other times, you'll unearth a lengthy tome of edit after edit as a user struggles with some hard-to-squash bug or voices their increasingly frustrated concerns; you never know what you're going to get until you look. 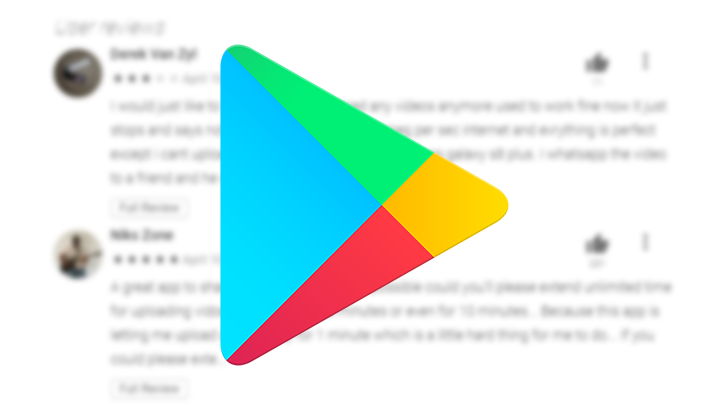 This change may have some Play Store users thinking twice about what sort of things they share in review comments, but we're hopeful it will ultimately be for the best, both giving other users context for what they're reading, and maybe holding some of those less-helpful voices a little more accountable for what they've had to say. So far we've only spotted this new behavior on the Play Store Android app, and not in the web interface, though that could change at any moment.